Vandalism has always been an issue in the Medicine Hat area. This vandalism can be destructive, visually disturbing or down-right weird. 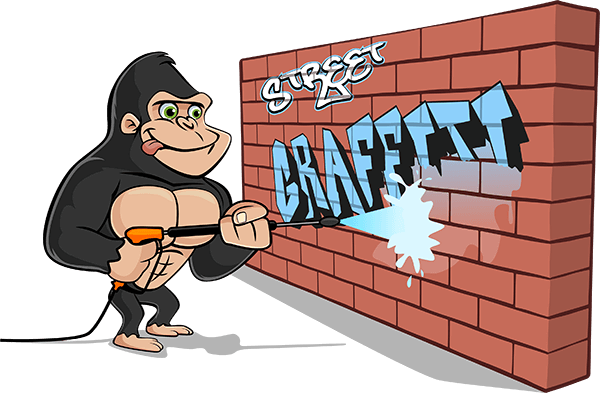 Our Gorillas aren’t carpenters but we can rebuild the appearance of your property with our Medicine Hat graffiti removal. Unfortunately for property owners, there is no magical sign that wards off graffiti. In fact, some street artists love a challenge and the more you try to keep them away, the more determined they are to come back. So, if you can’t tell them to stay away and you can’t ignore the graffiti, what can you do about your unwanted masterpiece? You can act quickly, and take the fun out of spray painting your home or business. Letting paint sit on the exterior of your space, is detrimental in more than one way. The first, of course, is the paint itself. It is not as though these street artists are leaving aerosol artwork on your walls. More often than not, graffiti is made up of simple tags or offensive iconography or wording. That is why it is so important to get rid of this paint early on. You do not want your storefront alienating potential customers or your home giving off the wrong impression to guests. The second is that sitting paint invites more to be piled on top of it. Rival taggers will not hesitate to repaint an opponent’s piece when they find it. Third, and most important, resting paint can bake into the outer layers of your property, making it even more difficult to remove. 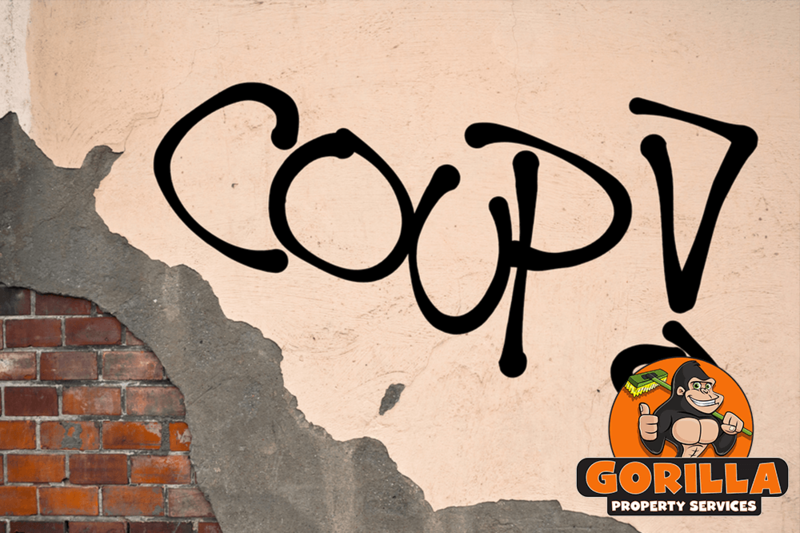 All in all, the best way to prevent graffiti and the damage that it causes, is quick removal! One of the most extraordinary perks of choosing Gorilla Property Services, is that we strive for same-day removal service. Our Gorilla technicians are available for emergency call-outs but if you want to make your Medicine Hat graffiti removal a more routine event, we can do that as well! Our Medicine Hat graffiti removal service takes care of your property by using eco-friendly cleansing solutions and a soft but effective touch.